Syracuse University today announced the appointment of Neal Powless G’08 to the post of University ombuds. In this role, Powless will serve the campus community as a neutral, independent, informal and confidential resource for faculty, staff and graduate students who are seeking assistance to answer questions and resolve concerns. Powless’ appointment is effective on Tuesday, Jan. 22. The Office of the University Ombuds was established last February at the recommendation of the University Senate Committee on Women’s Concerns and the Chancellor’s Workgroup on Diversity and Inclusion. At that time, Professor Emeritus Samuel Clemence was named to head the office in an interim capacity and a search committee was formed to identify a permanent ombuds. The Office of the University Ombuds will act as a neutral, independent informal and confidential resource for Syracuse University faculty, staff and graduate students who are seeking assistance to resolve questions and concerns. The Office of the University Ombuds will help further promote a respectful and ethical campus community in line with the University’s values and policies. Powless is no stranger to the Syracuse University community. From 2011-15, he served as assistant director of the Native Student Program in the Office of Multicultural Affairs. Prior to that, Powless was a career counselor with the Center for Career Services. 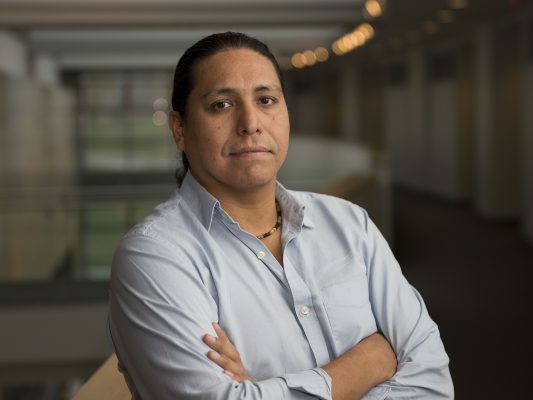 He is currently a Ph.D. candidate in the Newhouse School, where his research is centered on Indigenous imagery in contemporary film. He earned a bachelor’s degree in psychology at Nazareth College and a master’s degree in counseling at SU. Powless is also a Nationally Certified Counselor (NCC). Powless is a member of the Onondaga Nation Eel Clan. He and his wife, Michelle Schenandoah, founded Indigenous Concepts Consulting to serve Indigenous communities and to incorporate Indigenous perspective into mainstream business and media paradigms. He is the son of the late Beaver Clan Chief Irving Powless Jr., who was a good friend to the University. Powless, a three-time All-American and professional lacrosse player, also serves as head coach of the Netherlands National Box Lacrosse team. Jack Wilson, president of the Graduate Student Organization. The Office of the University Ombuds is located at 111 Waverly Ave., Suite 215. The office can be reached via email at ombuds@syr.edu or by phone at 315.443.1087. For more information, visit www.syracuse.edu/about/ombuds/.